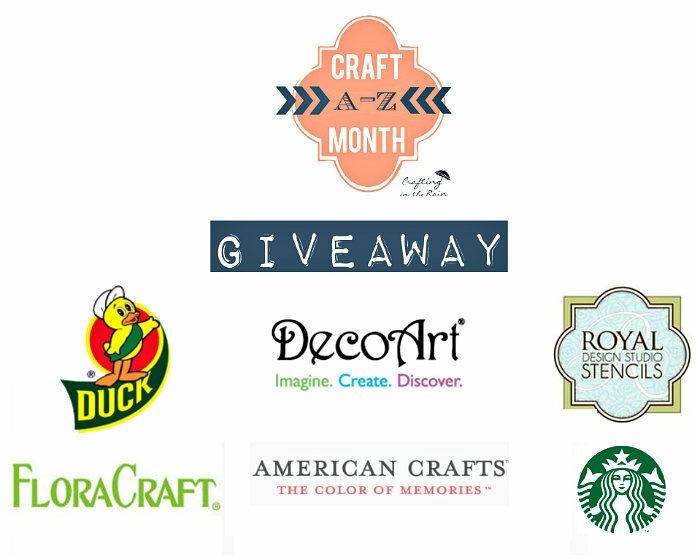 Craft A-Z Month GIVEAWAY! | Occasionally Crafty: Craft A-Z Month GIVEAWAY! Hey everyone! I don't usually post on Sundays, but I wanted you to be the first to get in on this awesome giveaway! In case you forgot, March is National Craft Month! I posted a craft for the letter "E" as part of Crafting in the Rain's Craft Month A-Z. See all the crafts here. To celebrate our love of making things, we are giving away TWO awesome prizes! Giveaway runs 3/28/15 - midnight 4/4/2015. Open to US residents 18 and older. Giveaway not affiliated with Pinterest, Instagram or Facebook. Winners will be notified by email and will have 48 hours to respond or a new winner will be chosen.